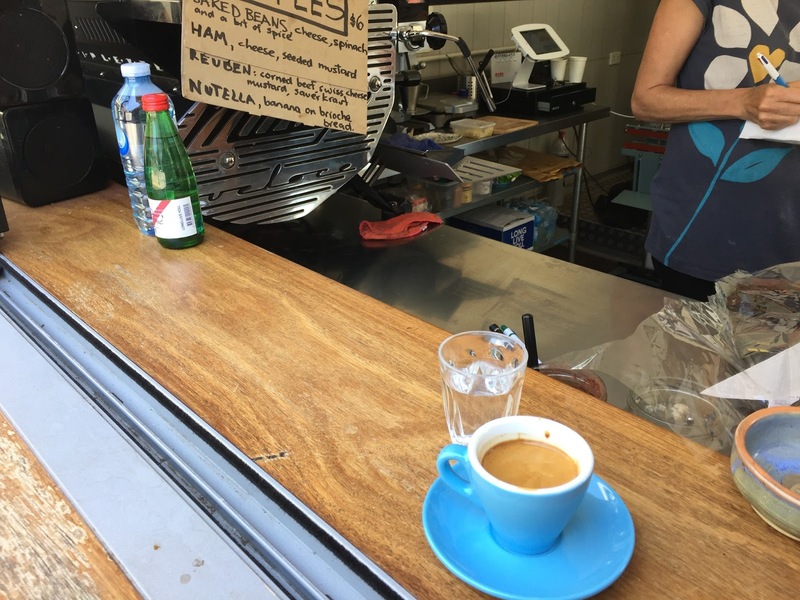 The Frenchman's Food & Wine Blog: Ristretto Coffee Roasters, Northbridge. Revisited. Again! Ristretto Coffee Roasters, Northbridge. Revisited. Again! 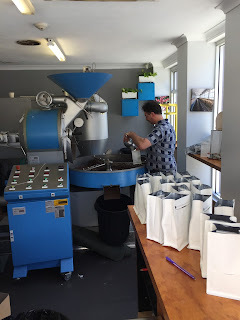 We are lucky to enjoy so many good coffee places in Western Australia today, with so many artisanal roasters and serious baristas opening coffee shops everywhere. Gone are the days when you had to make do with beans roasted in industrial quantities and bland blends, old oxidised beans and watery, over-extracted coffees because that's the best that was available. 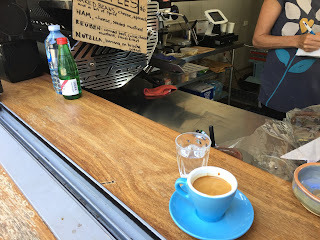 However, I still think that the best in the West is one of the original pioneers of the Third Wave of Coffee in Perth: Ristretto Coffee Roasters in Northbridge (53 Aberdeen Street, at the corner of Hook Lane, near William Street). They don't have a working website per se, and their only social media presence is a twitter account, yet they enjoy a cult following and have expanded to several outlets in the CBD. I once met a bloke there who had driven 2 hours from the country to grab a coffee and his regular supply of beans; and on another occasion met one of the judges of the Australian Barista Championship, resplendent in urban cycling lycra, who taught me how judges taste test coffee in competitions. Owner Emmanuel Muratore roasting away! My favourite regular ritual is still to make the trek to their hole-in-the-wall coffee shop and roastery in Northbridge, have a chat with Roxanne about her passion for tango, and enjoy an exquisitely creamy, complex and deliciously perfect espresso, washed down by a small glass sparkling water. Even better, they are now serving simple but tasty toasted sandwiches, so it's the perfect destination when you are looking for a quick light lunch and great coffee. Don't believe me? Head down there and try it for yourself! No doubt, Ristretto Coffee Roasters have served best coffee in the town that's why every one visit it again after 1st visit.I specially love their Cinnamon roll.